One day, while I was watching the television, I saw someone eating Fish N Chips on the show, and I started craving for them. The very moment, I asked my mom, is there any fish left in the house, she said NO. 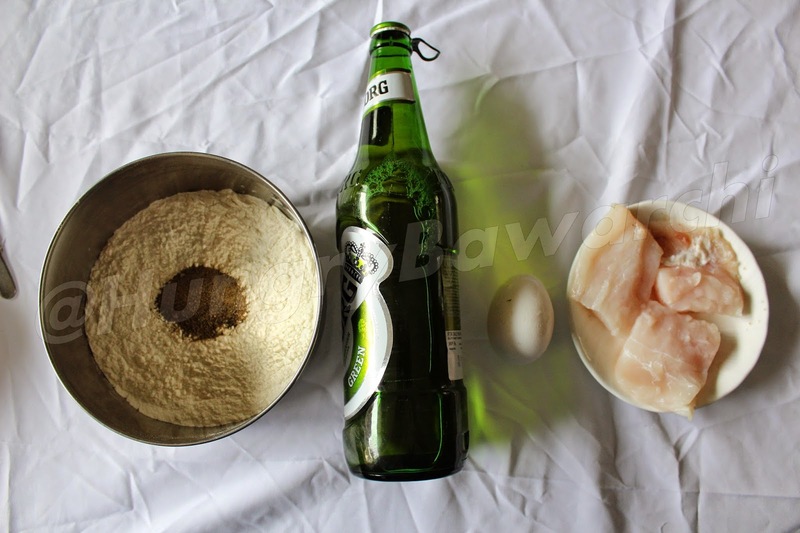 Next day, morning when she went out grocery shopping, got me some white boneless fish and luckily I had some beer in the house which came to the rescue, coz accept it, fish n chips if not made with beer batter, won't taste as delicious as they are. 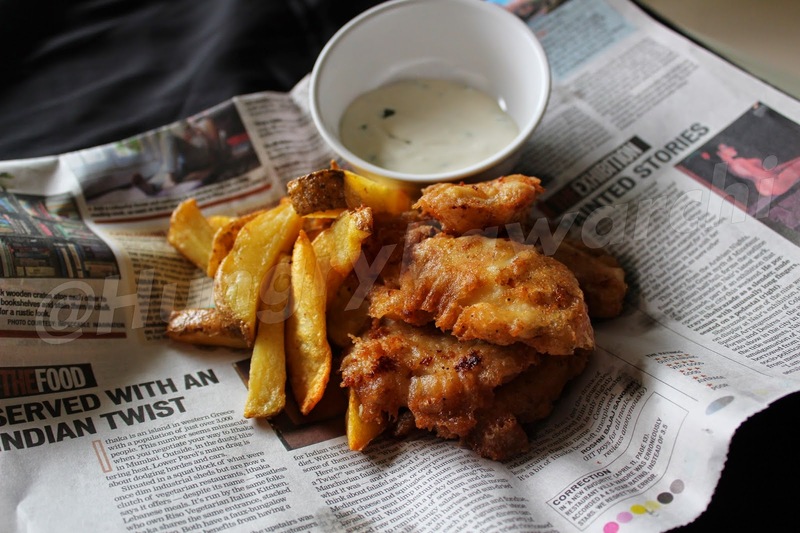 Fish N Chips served with Tartar Sauce. For the fish, I used Basa, but you can use any white fish available in the market. Infact you can try with different fishes as well for taste, texture and flavor. 1. 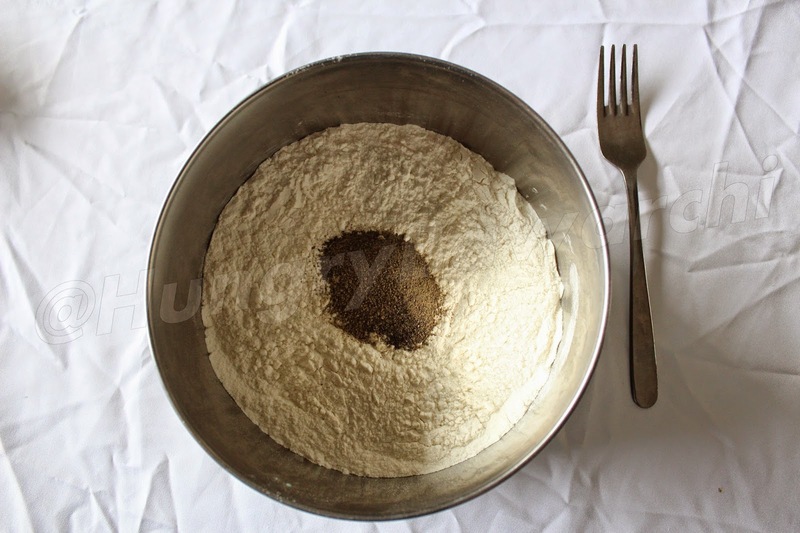 In a bowl, take the refined flour, black pepper powder, salt and baking soda. 2. 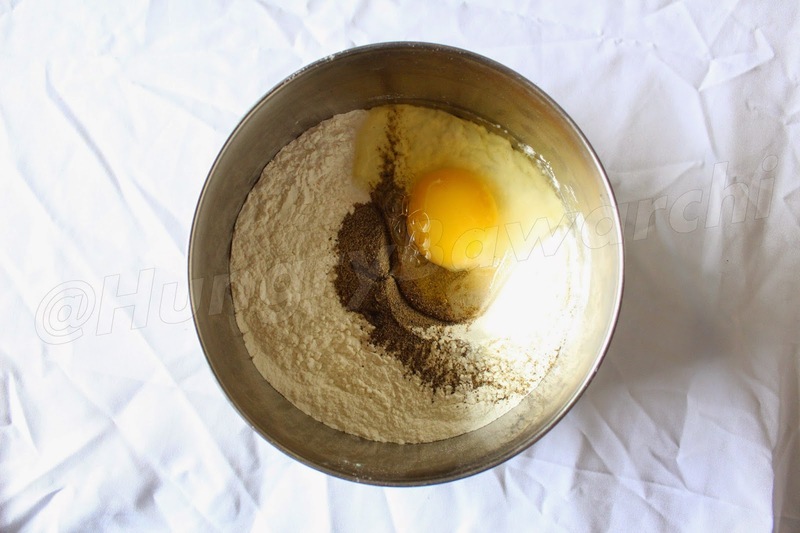 Break an egg in the bowl. 3. 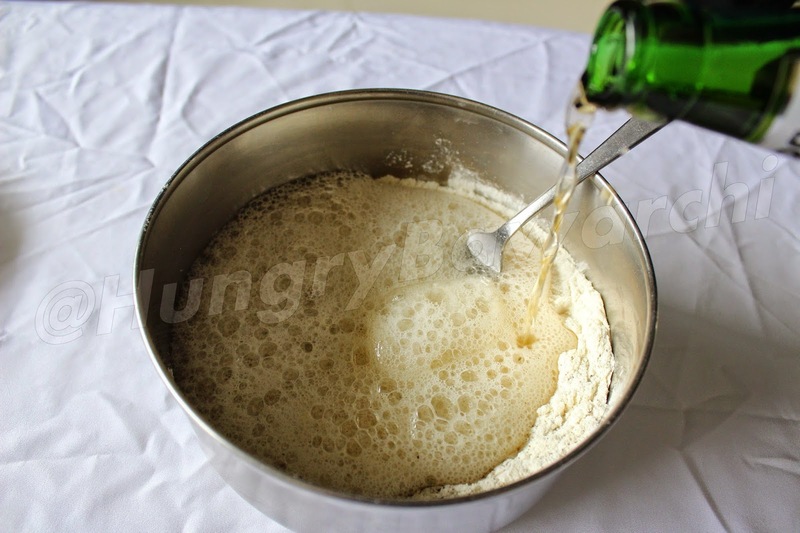 Pour chilled beer and mix it lightly so that it all comes together and form a thick batter. Note - Once mixed, the keep batter in the fridge to chill, or one can use a ice tub below the bowl to chill it. 4. Dip the fish in the batter. 5. 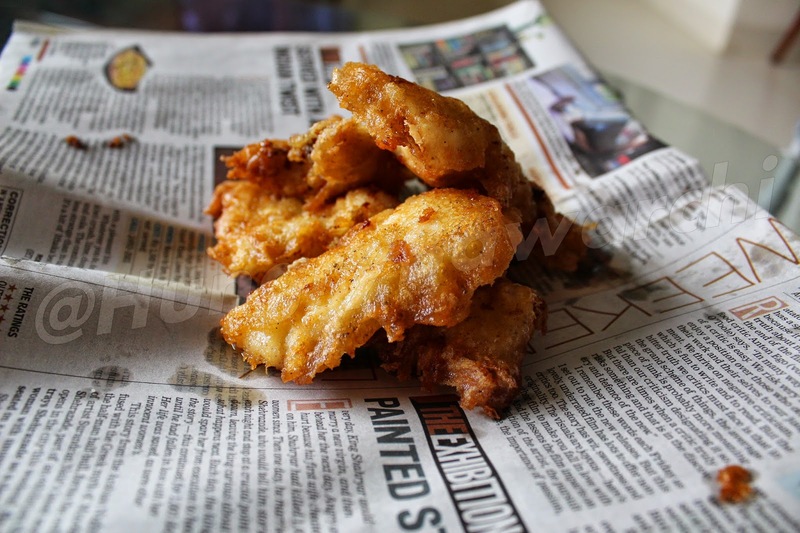 Take the batter coated fish. 6. Put it slowly into hot oil and let it cook. 7. 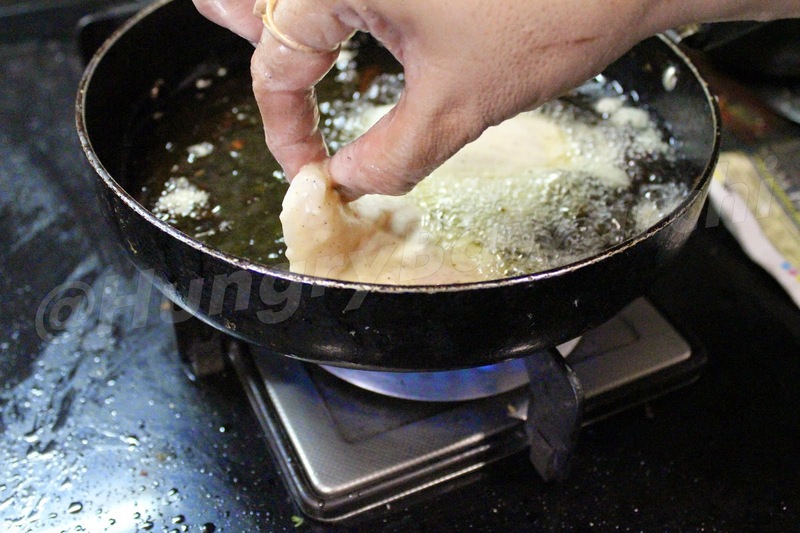 Once the fish is properly cooked and golden brown, remove on a kitchen towel or a newspaper to soak the excess oil. 8. For the chips, peel the potatoes, cut them into wedges and fry them till they are perfectly cooked, remove, sprinkle some salt and give it a toss. 9. 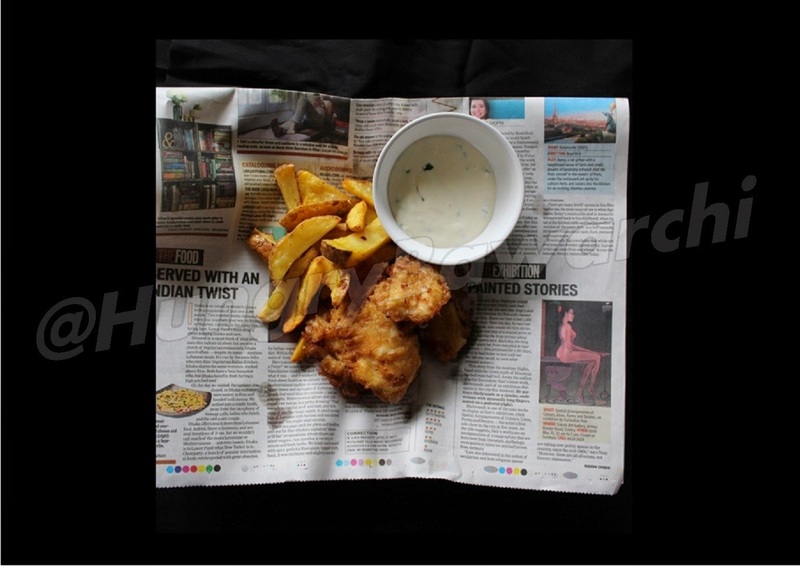 Serve the fish, hot crispy with the chips and tartar sauce. 1. Beer can be avoided and drinking soda can be used instead. 2. The chips can be flavored with different salts, eg. fennel and cumin or may be paprika etc. 3. 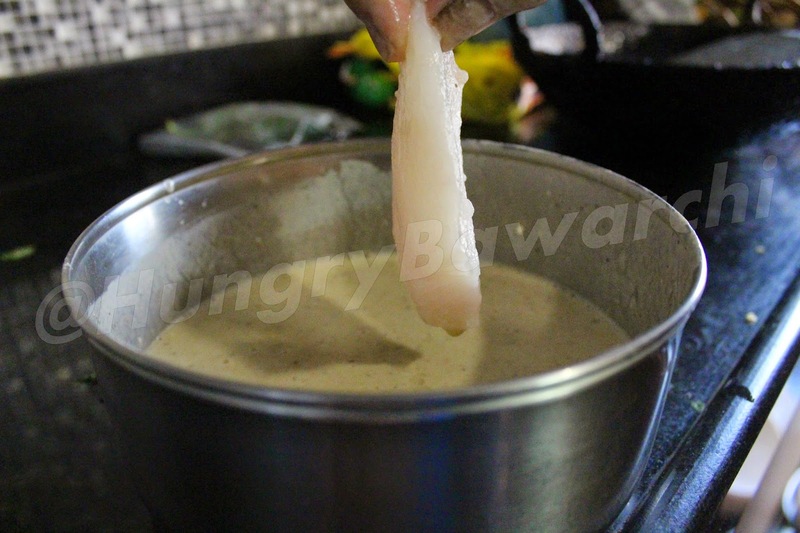 Remember, the batter should be chilled in order to get the crispy texture of the fish. P.S. This is the first time I have tried to show a recipe step by step, just wanted to apologise, incase I have missed some steps. Also I would love a feedback on the same. And my mom has been of great help to me while making this recipe, being patient and handling me. One of the most famous recipes served as an accompaniment to many of the dishes in the States. This is one of those recipes, which I learnt to make in the kitchen when i started my training. 1. Peel and slice the potatoes thinly using a mandoline and keep them in a bowl of water. 2. In a pan, heat butter, add in the milk and cream and keep whisking. 3. Put in the bay leaf, black pepper, rosemary and let it infuse. 4. Strain the mixture and keep aside, add in the grated cheese and mix well. 5. Pre-heat the oven, and grease a baking tray with butter. 6. To the milk mixture add some of the grated cheese and mix well. 8. Repeat the process and make about 2 more layers. 9. Sprinkle the remaining cheese and the bread crumbs on top and bake it in the oven for about 30 mins to 35 mins at 180 degrees. 10. Remove once done and serve hot. 1. To check if the potatoes are cooked, insert a skewer through the center and if it goes in easily without any issues, its cooked. 2. Other flavorings can also be added, like thyme, chillies, basil. 3. Other cheese can also be used, depending on the availability.